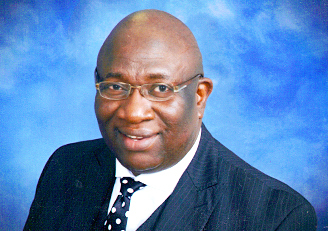 Minister Robert R. Johnson, Jr. is a native of Texas. He is the founder and President of the Robert R. Johnson. Jr. Ministries (RRJJRM). Minister Johnson established the RRJJRM, a 501c3 non-profit organization in 1999, in efforts of providing outreach ministry to the community, State of Texas and the world. Minister Johnson's journey in the ministry began over twenty-five years ago in the State of Texas Brazos Valley. He was reared by his parents in a home based on Biblical principles. Over the years, those teachings remained deep in his spirit. This collection of writings is intended to connect you, the reader, with the Holy Spirit for healing, inspiration and instruction. Many individuals have been blessed by Minister Johnson's teachings, preaching and now his writings. Minister Johnson resides in Waco, Texas where he is a member and Associate Minister of the Toliver Chapel Missionary Baptist Church. Minister Johnson served for five years as Outreach Minister at Meadowlands Terrance Assisted Living. The Robert R. Johnson, Jr. Ministries focuses primarily on outreach ministry. However, through this ministry MinisterJohnson has been able to reach the masses in revivals, lectures, and speaking engagements. As we are in the world we will listen to what it says respectfully and carefully; however, our American culture or other cultures will not ask all our questions, nor supply all the answers. We will seek to be a ministry that listens most attentively to God and God’s Word, and to respond in obedience. Contact Minister Johnson by phone at 254.349.2770 or through email at robertrjohnsonjrministries@yahoo.com. You may also complete the online email contact form.